As mentioned in our Archosaur Open Tournament Series blog, please enter here the following details of your team before the sign-up closes on May 3rd 2018! 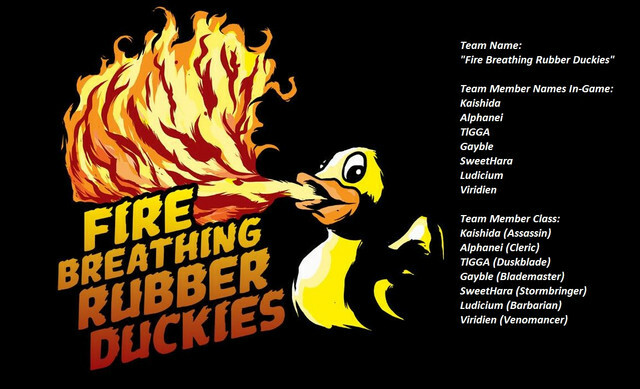 Team Member Names In-Game: Please be sure the names are as they should be written. Please note: Registering an invalid team or otherwise providing false information that could give users an unfair advantage or otherwise disrupt tournament processes will result in your entire team and its members to be disqualified and barred from future Archosaur Open events. PWI staff reserve the right to disqualify players from the tournament for unsportsmanlike conduct including but not limited to cheating, using third party software to manipulate their gameplay during the tournament matches, coercion or collusion to determine match results outside of normal gameplay, and any actions that violate TOS. Please use this thread for signup only. I'll be moving all others to a new one soon. Done! Please Talk/Discuss HERE! 6. Malibu - Cleric - in case someone can't attend. It's gone past the cut off date for this now. I would assume any entry will not be counted after this.